Punxsutawney Phil, the prognosticating groundhog charged with predicting an end or extension of winter, once again saw his shadow earlier this month. Phil’s fright of his own shade foretells a further 6 weeks before spring can take hold. The news can’t be good for shovel-weary snow belters who’ve been inundated with winter weather for the last few weeks. Cities across the Midwest and New England have seen record setting snowfalls. Winter storm Juno handed Chicago its third worst blizzard ever while Bostonians endured the highest weekly snowfall total in history. Another six weeks of closed roads, cancelled flights, and home-bound school kids can be enough to challenge even the heartiest of souls. Not everyone is ready to put a hit out on the fearful Phil though. A mild early winter wasn’t good news for northeast snow sports, forcing many resorts to rely their snowmaking capability to keep the runs open. The recent bout of winter storms have added the powder that snowboarders crave for that perfect carve. These days, meeting the demands of an increasingly technical sport like snowboarding means faster turnaround of new products. 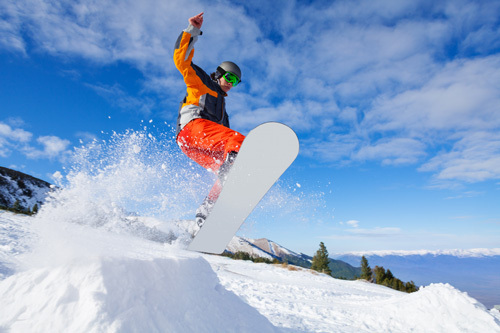 Selective laser sintering (SLS), a 3-D printing technique, has given snowboard manufacturers a way out of the slow prototyping bind. In general terms, SLS is an additive technology which builds a product, layer by layer. In the system, one chamber holds the construction material (metal, composites, and such) in powder form. A roller pushes some of this material to the second chamber where a laser sinters the powder, creating a layer onto the product. A piston under the new product pushes it up slightly and another layer is added. The heat created by the laser and oxygen present in the atmosphere can cause oxidation on the product. Since heat can’t be avoided, the easiest way to mitigate oxidation is to replace the atmosphere in the machine. Because of its low cost and availability, nitrogen is the typical inert gas of choice for the SLS process. One option for getting nitrogen to the 3D printer is to have it delivered from a gas supply company. There are a few issues with this supply method. Besides the never ending cost of purchasing N2 from a gas company, the SLS process becomes reliant on an outside source for a key component. The speed of design to prototype can be severely compromised if there is a disruption of supply, like during a snow storm for example. To control cost and guarantee an uninterrupted supply of nitrogen, companies like Burton have switched to producing their own N2 near the point of use. A nitrogen generator, which pulls naturally occurring nitrogen out of standard compressed air, allows the designer to focus on the prototype, not the nitrogen supply. When adding new technology to a process, whether it’s a 3D printer or a nitrogen generator, it’s important to make the right selection the first time. The experts at Compressed Gas Technologies can evaluate the printer’s specification and recommend a perfectly matched system. And for the record, the skittish marmot has seen his shadow 102 out of 119 predictions. Perhaps it’s time for a slightly more courageous mammal. Hartford Honey Badger has a nice ring to it.